Barcelona are insistent Philippe Coutinho will remain at the Nou Camp this summer. Coutinho’s future has been the source of much speculation just 18 months into his tenure with the La Liga leaders. Manchester United have been credited with an interest in the former Liverpool man, although it is suggested Coutinho has no plans to return to the Premier League. 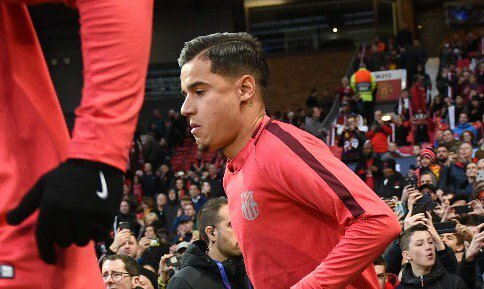 Barca president Josep Maria Bartomeu addressed the speculation ahead of the Champions League quarter-final second leg and insists Coutinho will be staying put. “Coutinho is a great player, excellent, and he’s getting better and better,” Bartomeu told TVE. United boss Ole Gunnar Solskjaer was asked about a potential move for the Brazilian this summer and gave very little away – insisting “he is a Barcelona player” when pushed for an answer. Coutinho is believed to have reservations over a move to Old Trafford, with his family struggling to settle during his time at Liverpool. Bartomeu also played down any proposed interest in Atletico Madrid’s Antoine Griezmann. The Frenchman has again been tipped to leave Atletico for Barca after a proposed move fell through last summer. “[Griezmann] is an Atletico Madrid player and he has a contract [with them]. “If Griezmann wanted to come, he would have to talk to the coaches, but his name is not on the table.